Drumroll, please... we’re excited to announce our list of the Top 50 Cloud Accountants of 2017! This year, we received hundreds of applications from accountants and bookkeepers across North America. We were amazed by some of the feats that firms were able to accomplish thanks to cloud accounting technology. As you’ll see below, the cloud is truly revolutionizing how accountants, bookkeepers, and their clients are doing business. Without further ado, please give a virtual round of applause to our list of the Top 50 Cloud Accountants of 2017 in North America! 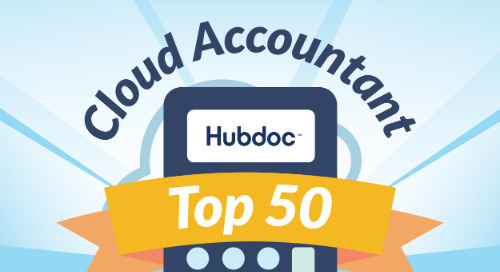 View our list of the Top 50 Cloud Accountants of 2018 here! Andrea Parness has embraced the cloud to help her clients accomplish the “6 W.R.I.T.E.S.”: Wealth Generation, Risk Reduction, Increased Profits, Time Savings, Expense Control, and Stress Reduction. 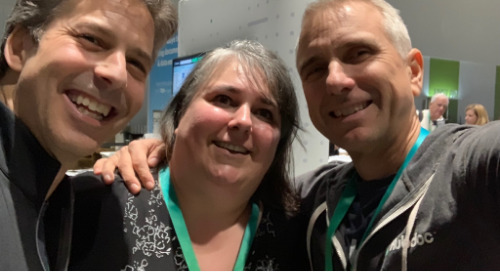 Thanks to the time-saving benefits of the cloud, she is also able to volunteer as a member of various professional groups, including the National Conference of CPA Practitioners and the Intuit ProConnect Tax Council. 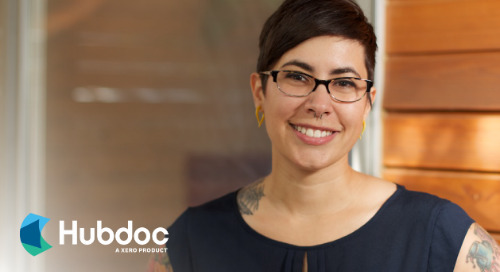 As a Xero Ambassador and the mastermind behind Accountingprose’s world-class brand, Cristina Garza embraces cloud technology in all areas of her practice, from workflow management to marketing. In 2018, she’s launching Accountingprose Accelerator, a course designed to help accountants and bookkeepers improve their firm’s marketing tactics. Cristina is a superhero for both her clients and the accounting community! Acuity doesn’t just leverage technology to help small businesses take their accounting function out of the “dark ages” – they also embrace the cloud in a number of other creative ways. As a security protocol introduced in 2017, they no longer request access to their clients’ bank accounts. 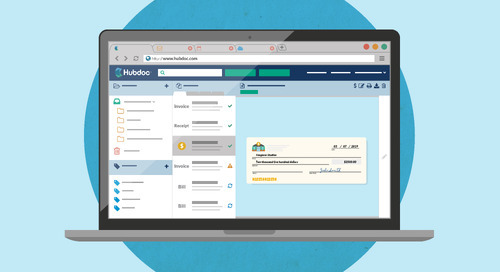 They rely on tools such as Hubdoc to fetch statements and other financial documents. Acuity is also one of the first firms to accept cryptocurrency – the future is here, folks! Cloud technology plays a huge role in achieving Aguillard Accounting’s mission to “help small business owners leverage technology so they can craft their best lives”. Amanda helps to spread cloud savviness among both her clients and the accounting community through her training platform, Elefant Training. As a co-founder of Bluewire Strategy, she helps to craft strategy and implementation plans for firms looking to modernize their practice. Congrats, Amanda! 2017 was a huge year for AIS Solutions! Their vision to “educate and empower” led to the launch of Kninja Network, a training and support community that aims to help bookkeepers build their practice. Awarded the title of Intuit’s 2017 Global Firm of the Future, they understand the importance of embracing the cloud technology ecosystem. Congrats to Juliet, Steve, and the entire AIS Solutions team – we’re excited to see the momentum continue into 2018 and beyond! What do you do when a client with no bookkeeping records approaches you to help them produce three years worth of financial reports? According to Michael Levy, you turn to the cloud! “Because of cloud accounting technology, we were able to import their bank activity for the last three years, categorize and reconcile it, and produce financial reporting in a matter of a few hours,” says Michael. Bean Counter 4 Hire supports small business owners while working entirely remotely – talk about cloud superstars! Cindy Hovig, Beyond Balanced Books, Inc.
BLR started their cloud accounting journey six years ago, and they’ve never looked back! Tim Miron is on a mission to give clients the confidence they need to achieve their financial goals. “We are no longer history writers saying, ‘This is what happened in the last year’. We are now their financial sherpa, helping guide them up their financial journey, wherever that wants to take them,” says Tim. Here’s to many more years on the cloud! It’s a bird... it’s a plane… it’s Nick Pasquarosa! Nick credits automation as the reason he’s been able to take on cool hobbies, like skydiving. 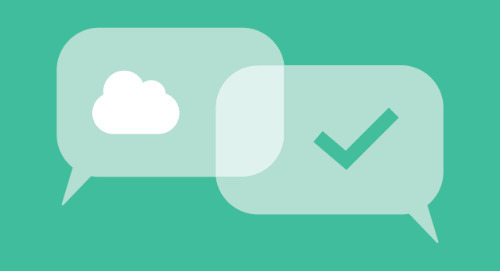 Bookkeeper360 operates entirely on the cloud. 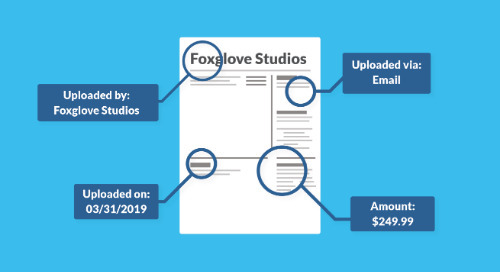 They leverage tools such as Hubdoc, Spotlight, and Xero to help their small business clients work smarter, so they can do what they enjoy most: running their business. Way to go, Nick! It’s been an exciting year for Keith Mueller and the Bookkeeping Express (BKE) team! This year, they introduced their proprietary BKE Insight application, which provides their clients with a one-stop interface for all of their financial needs. 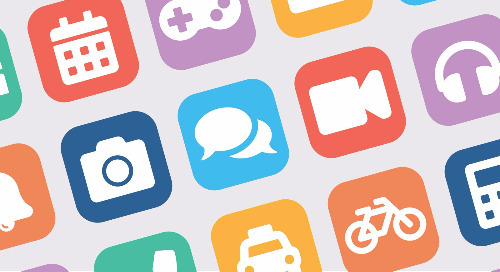 In addition to their app, BKE leverages a number of other cloud technologies to help their clients grow their businesses. We’re excited to see how BKE continues to innovate with the cloud! Thanks to cloud accounting technology, Gabrielle was able to take a three week trip to Indonesia at the end of 2017. “If I had not notified my clients of my long-haul trip, they likely would have never known I was literally on the other side of the planet,” says Gabrielle. Gabrielle is passionate about educating the accounting community about how they can use cloud technology to better serve their clients. Learn more from Gabrielle in our document collection webinar series! Jelena is a QuickBooks Advanced Online Certified ProAdvisor, a Xero Silver Partner, and now, a three-time member of the Hubdoc Top 50! Jelena has continually set an example for cloud accountants everywhere with her ability to travel the world while continuing to serve clients. Congrats, Jelena! Over the past five years, Cindy has completely transformed Bright Bookkeeping with cloud technology. This year, they were able to move from Chicago to Orlando without a hitch: “With the help of the cloud, we were able to transition all of our current clients so that we can continue to work with them from anywhere. Our clients have been very supportive and many are also looking at their own businesses in a whole new light, with limitless possibilities.” Keep aiming for the cloud, Cindy! Kim Deep, Business By Numbers Ltd. Driven by her passion for helping others learn about money and how it can work for them, Kim Deep founded Business By Numbers in 2007. Kim’s mission to educate doesn’t end with her own clients – as the Founder of the FISH Foundation and as a volunteer for the Family Wealth Academy, she empowers the community by teaching financial literacy to families and youth. Now that’s what we call leadership! Steffanie Anderson, Business Cents Inc. It was a big year for Steffanie and the Business Cents team! 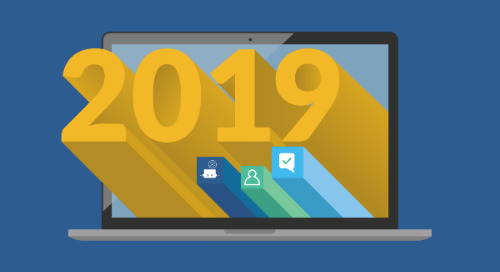 Named the Quickbooks US Firm of the Future for 2017, Business Cents uses cloud accounting technology (such as QuickBooks Online, Hubdoc, MineralTree, and Aero Workflow) to equip small business owners with the tools they need to achieve their hopes and dreams. Congrats, Steffanie! The dynamic duo strikes again! 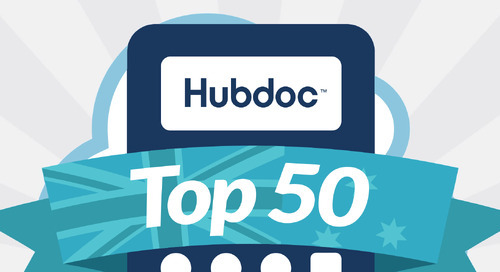 Congrats to Patti and Scott for making the Hubdoc Top 50 list for four years in a row. Patti and Scott leverage cloud technology to specialize in ecommerce accounting services. They’re also always willing to educate and empower fellow accountants about the benefits of the cloud. In 2017, they launched Catching Clouds Academy, an online training platform where they share their wealth of ecommerce knowledge with the accounting community. Congrats, Patti and Scott! “As cloud accountants, if we keep our mind open to the possibilities of what the future can bring, we can do so much more for our clients and for ourselves,” says Andrew Wall. It’s this thinking that proves that he’s a cloud leader. WallCPA leverages tools such as Hubdoc, Plooto, Infusionsoft, and Wagepoint to serve their small business clients. Cheers, Andrew! As an Intuit Firm of the Future runner-up, Cloud Bookkeeping Services is at the top of their cloud bookkeeping game! In addition to leveraging tools such as SmartVault and 17Hats to serve their clients, Tanya leads a bookkeeping workshop (Tanya’s Bookkeepers Bootcamp) that aims to help other bookkeepers move to the cloud and implement better cloud accounting workflows and best practices. As self-proclaimed “cloud fanatics”, it’s no surprise to see Lior and Mike on this list once again! 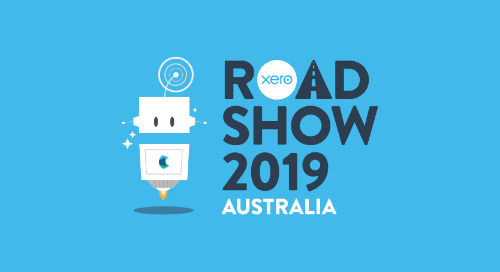 ConnectCPA is a Xero Platinum Partner and leverages a number of Xero add-ons in their workflows, such as Hubdoc and Fathom. In particular, they rely on cloud technology to improve client communication and collaboration: “Cloud accounting technologies eliminate pain points, administrative work, and provide a fantastic and efficient accounting experience,” says Lior. Congrats, Lior and Mike! Emmerman, Boyle & Associates’ mission is to help small businesses excel by leveraging cloud technology to create super efficient workflows. As a Xero Ambassador for the Northeast, David leads his team and helps them build out workflows using tools such as Xero, Hubdoc, Futrli, Bill.com, and Expensify. As one of the co-founders of Bluewire Strategy, he helps to craft strategy and implementation plans for firms looking to modernize their practice. Congrats, David! Cloud technology helps FLOW CPA deliver amazing client experiences and execute against their three core values: adaptability, integrity, and availability. It has also been imperative to their growth: “[We’re] able to hire the right staff no matter where they live. With tools like Hubdoc, Karbon, Zoom, QuickBooks Online, and Xero we can all work at the same time and share knowledge as we go,” says Cecilia. We’re excited to see FLOW CPA continue to grow in 2018! Shelly understands that the cloud is the future. GunnChamberlain, P.L. (a CPA and financial advisory firm), was founded in 1978, but this year, they saw the opportunity to establish a new division dedicated to promoting and supporting cloud accounting. Hence, GCT Technology & Accounting was born, with Shelly taking on the role of Director of Technology Solutions! We can’t wait to see Shelly continue to innovate in 2018. Allison and Jules have always been focused on empowering the small business owners in their community. In 2017, Hawkins & Co Accounting launched Scaleup Financial, an educational program that enables small business owners to take control of their numbers. 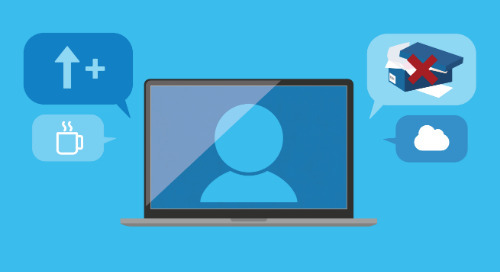 According to Allison, this course could not exist without cloud accounting: “The ability to pull up a participant’s Xero file as we are discussing a topic has made it approachable and relevant for everyone involved and provides real insight to the entire group.” Keep up the awesome work, Allison and Jules! HPC’s “why” is to “enable global entrepreneurs to succeed in the lifestyle they crave”. As an early adopter of cloud technology, Bruce was quick to understand how the power of an integrated technology stack can help to fulfill this mission. 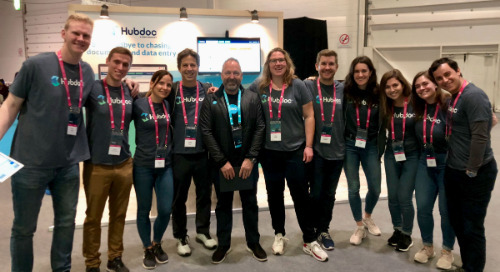 Thanks to tools such as Xero, Hubdoc, Futrli, Spotlight, and more, the HPC team is able to work entirely remotely while helping their clients change the way they conduct business. Way to go, Bruce! In a feat of epic proportions, Ignite Spot Accounting was able to transfer the majority of their clients from QuickBooks Desktop to QuickBooks Online last year, allowing them to experience the many benefits of cloud technology. “I used to feel like a road block placed directly in the path to someone’s dreams,” says Dan. “Now, I feel like an extended part of their team who is working with them to get closer to achieving that dream all because of the successful utilization of cloud accounting technology.” We’re excited to see the Ignite Spot team continue to conquer in 2018! From working remotely to providing amazing client experiences, Jade Consulting experiences the many benefits of being a 100% cloud-enabled practice. This past year, Jennifer and her team were able to help a client catch up on six months worth of work in just six weeks, thanks to tools such as QuickBooks Online, Hubdoc, Expensify, Wagepoint, and Spotlight. Congrats, Jennifer – keep your head in the cloud! Jennifer Bauldic, Jetstream Administration, Inc.
Jennifer relies on cloud technology to help the Jetstream Administration team consistently think ahead. “Historically, a bookkeeper reported only on the past. The cloud has allowed us to manage the present and plan for the future,” she says. Leveraging cloud accounting software such as QuickBooks Online, Hubdoc, and TSheets, the Jetstream team is able to build effective workflows for their clients and help them look to the future. Congrats, Jennifer! Lisa is on a mission to help small business owners go paperless – the fun way! “It's a really exciting time to own a business and having real-time data at their fingertips is profound,” she says. Lisa’s passion and enthusiasm for cloud technology has allowed her business to triple in size and has enabled her clients to become much more involved in their financials. We have a feeling you’ll be hearing more about Lisa in 2018 and beyond! As four-time members of the Hubdoc Top 50, you’ve probably heard about Chad and Josh. With a mission to provide “a place where structure and hourly billing don’t dictate how relationships can develop and how work is completed”, Chad and Josh have worked to build an awesome culture at LiveCA as they expand their quickly-growing, 100% remote team. Thanks to cloud technology, Chad was also able to travel across Canada in an RV this past summer! Congrats on another great year, Chad and Josh. Regan, Kyle, and the Metrics team are on a mission to innovate in the accounting industry. Last year, they were accepted into an incubator program to accelerate the development of an AI-based robot project. They’re also in the process of building a cloud-based interactive client dashboard, which will help elevate their client experience by increasing communication and transparency. 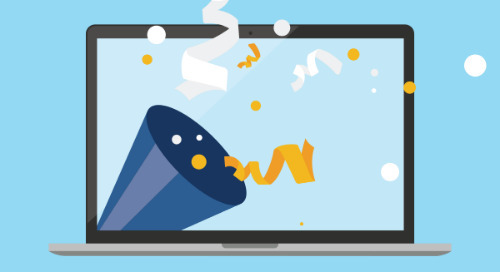 We’re excited to see what’s next from the creative minds at Metrics! Jennie Moore, Moore Details Inc.
With a high degree of cloud-savviness and infectious enthusiasm, Jennie Moore continues to be one of North America’s top cloud accountants! As a QuickBooks ProAdvisor, she’s always open to sharing tips about cloud technology and practice management. One strategy that’s been critical to her ability to scale her practice is the “DRAGON” methodology, which she uses to determine client fit. Congrats, Jennie, and thanks for continually sharing your expertise! Sherrell Martin, Chief Financial Solutions Officer at Nitram Financial Solutions, is a firm believer in financial success and enabling clients to leave a legacy. None of this would be possible without cloud technology – Nitram Financial Solutions leverages tools such as Hubdoc, ShareFile, and TSheets to empower business owners to thrive financially. Keep up the amazing work, Sherrell! Peter Holtz is passionate about helping small business owners experience success. He also regularly shares his cloud accounting and small business expertise on his YouTube channel, participating in weekly video themes such as “Write Off Wednesday” and “Technology Tuesday”. Thanks for sharing your cloud wisdom, Peter! Serving clients that fall into the niches of sport, entertainment, and creative entrepreneurship, Polay+Clark leverages cloud accounting technology to “help creative minds build sound financial futures”. Tate highlights the collaborative capabilities provided by cloud technology as a huge relationship builder: “We're now able to be much more flexible with our client relationships by using cloud accounting technology.” Keep up the collaboration, Tate! 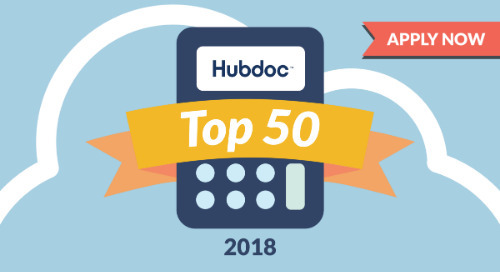 Hector joins the Hubdoc Top 50 for the third year in a row! As the host of Advisor’s Corner (his podcast) and a co-host of QB Power Hour, Hector is a leader in the accounting space who regularly discusses the benefits of cloud accounting technology. Congrats, Hector! Thanks for continuing to share your insights with the accounting community. Laura Redmond, Redmond Accounting Inc.
Laura Redmond is the founder of Redmond Accounting and the co-creator of Aero Workflow. 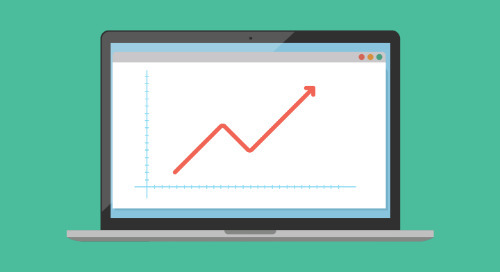 Redmond Accounting requires all of their clients to utilize cloud technology, understanding that it’s beneficial for both the firm and their clients: “These tools automate manual processes, accelerate the movement of funds, and improve communication and collaboration. They make us look good!” We couldn’t agree more. Congrats, Laura! 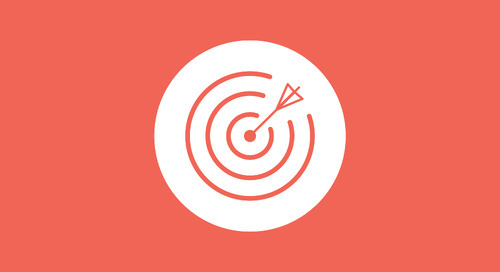 Enabled by cloud accounting technology, Octavia is passionate about educating small business owners on money management, business streamlining, and profit maximizing. To execute against this mission, she launched Say Yes to Profits Academy. Octavia also shares her own journey as an entrepreneur in her book, Say Yes to Profits: 3 Methods for Building the Profitable Business of Your Dreams. Congrats, Octavia! 2017 presented a unique opportunity for Mohamed – he was able to travel with some of his dentist clients to Morocco, where they offered civilians dental treatments that were otherwise unavailable to them. While in Morocco, Mohamed was able to stay connected with the Shift Accounting team back in Canada: “As a small business owner, there is no way I would be able to run my business from Morocco with no interruptions to my clients without the cloud applications we use.” Keep up the great work, Mohamed! Tammy, Neva, and Beverley help their clients make a quick and worry-free transition from paper-based accounting to cloud-based accounting – and have seen massive success! Starburst Business Solutions will be onboarding 12 new clients in the first 90 days of 2018, a feat that could not be accomplished without the cloud. Congrats, Tammy and team! Amy and Meredith leverage cloud accounting technology to build specialized workflows for their clients, but they never forget the importance of gaining a client’s buy-in for these solutions. 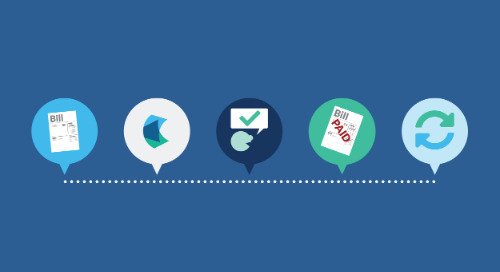 Often, they’ll rely on workflow graphics and visualizations to help their clients grasp how it all works: “The workflows explain each app as part of a larger ecosystem that ensures their bills and employees get paid, their books are in order for audits and paying taxes, and all of their accounting documentation is securely stored and readily accessible. Providing this resource to clients has really helped them see cloud accounting as we see it.” Great idea! Tammatha’s goal is to increase the profitability of her community, one business at a time. Using tools such as Hubdoc, Fathom, Karbon, Practice Ignition, and Wagepoint, the TD Accounting Services team is able to increase efficiency so their clients can pursue what they love. “Let’s face it: our customers get into business because they have a passion. Their passion is not usually accounting. That’s our passion. We let them focus on what excites them.” Congrats, Tammatha! Thanks to cloud accounting technology, Marilyn has been able to completely transform how The Bottom Line CPA does business. 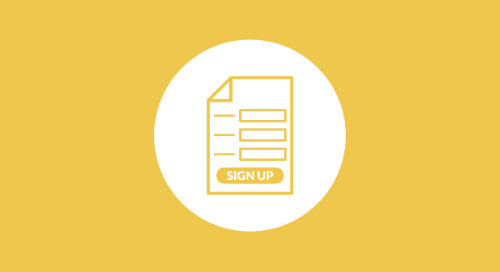 Their team is now fully remote, and they’ve been able to strategically position themselves to serve the ecommerce startup market by “bringing online education and CPA-supported, DIY accounting in an automated, one-to-many membership model.” The Bottom Line CPA recently joined us for our Cloud Leaders webinar series – watch it here! 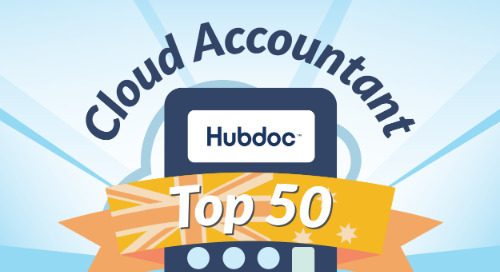 Now a three-time member of the Hubdoc Top 50, Jay continues to set an example for accountants in the digital age. 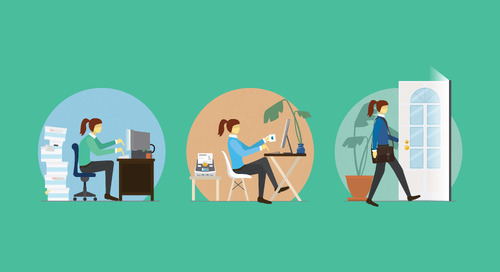 As a Xero Ambassador, Xero is at the center of The Digital CPA’s accounting technology stack. Jay is also a co-founder of Bluewire Strategy, which crafts strategy and implementation plans for firms that believe change is needed to create a modern practice. We highly recommend following Jay on Twitter, where he regularly shares his cloud wisdom! 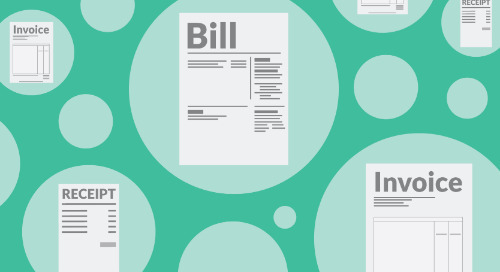 When it comes to modern accounting best practices, Judie is a fountain of knowledge! Think Leader Consulting’s Knowledge Center and blog are excellent resources for accountants and bookkeepers looking to improve their client experience with cloud technology. She’s also an innovator – in 2017, she introduced Client Hub, a cloud-based client experience application for accounting professionals. We have a feeling Judie is just getting started – we’re excited to see what she does next! Kelvin and Twyla understand how cloud technology can completely transform a business. “Every company has a wealth of data that can help them be better and/or make more money. It's usually locked behind poor systems, bad processes or simple misunderstandings, though. Using modern technologies and our expertise we tap into this data and provide clients with better versions of their businesses,” says Kelvin. As a firm that operates 100% on the cloud, Twenty Eighty leverages tools such as Hubdoc, Expensify, and Harvest. Congrats, Kelvin and Twyla! The Upsourced Accounting team benefits from the cloud both internally and externally. Upsourced Accounting is a Xero Gold Partner, and Ryan Watson recently became a Xero Ambassador for the Midwest. Ryan is also a co-founder of Bluewire Strategy, which crafts strategy and implementation plans for firms that believe change is needed to create a modern practice. In addition to serving clients using cloud accounting technology, the Upsourced Accounting team also operates remotely and is focused on building a culture that strives to be collaborative, kind, and fun. 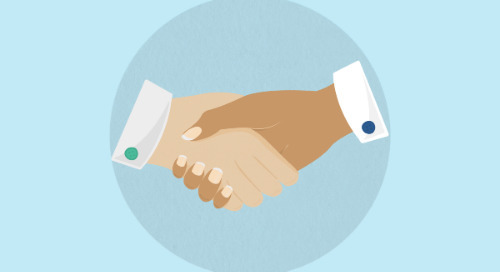 Susan Watkin, Watkin Small Business Services, Inc.
What do you do when one of your most reliable colleagues needs to move across the country? You open a satellite office! This is exactly what Susan was able to do this year, thanks to cloud technology. The transition went off without a hitch: “Several clients still don’t know she’s moved, and none have thought to question it given the ease at which the work is handled. Without cloud accounting, [she] could not have stayed working with us and that would have been a huge loss for our organization. With this technology, we’ve spread our wings across the country and opened our business up to so many new opportunities and potential new clients.” Stay cloud-y, Susan! That’s our 2017 list! View our list of the Top 50 Cloud Accountants of 2018 here.